Let Us Help with Your Factoring Needs! 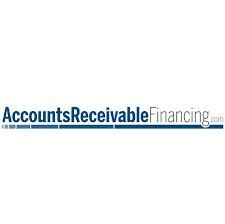 In addition to providing equipment financing King Commercial Capital offers account receivable financing (factoring). You may have heard of “factoring,” but you may not know what it is, or more importantly what it can do for your company. Factoring, also known as accounts receivable financing, is a form of asset-based lending that can boost a company’s short-term cash flow. It is not a loan; no debt is assumed by factoring, and the funds are unrestricted. Let’s take a look at how factoring works. Companies sell their invoices (aka accounts receivables) to a factoring company in exchange for an immediate advance on the total. Factoring companies can disperse funds in as little as 24 hours, advancing up to 95% of the total. Who “Factors?” Businesses of all different sizes, including large Fortune 500 companies, down to single-employee businesses, use accounts receivable financing thanks to the influx of cash it provides. Businesses can use funds to grow rapidly, pay off debt, purchase new technology, hire new employees – essentially anything related to the business. Consider the example below, which takes factoring a step further. Factoring Delivers Growth ABC Company is a medium-sized company that is rapidly growing, thanks to a great sales staff ABC sells $1M of Widgets to a widget manufacturer. This is great news for ABC Company, however filling such a large order will deplete the company’s cash reserves. The widget manufacturer payment terms are 30-60 days; waiting 30-60 days for payment could jeopardize ABC Companies’s stability. Instead, ABC Company turns to a factoring company. The company sells its Widget Manufacturing invoices to the factoring company and gets up to 95% of the total costs within 24 hours. The instant cash flow helps replenish ABC Companies’s reserves, enabling the company to grow by filling orders for other companies interested in their fast selling widgets.